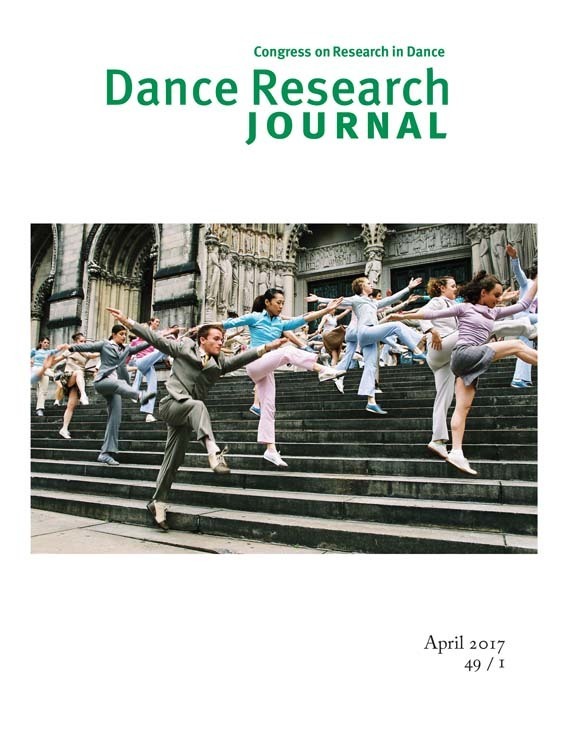 The Dance Research Journal (DRJ) is published three times per year by Cambridge University Press. 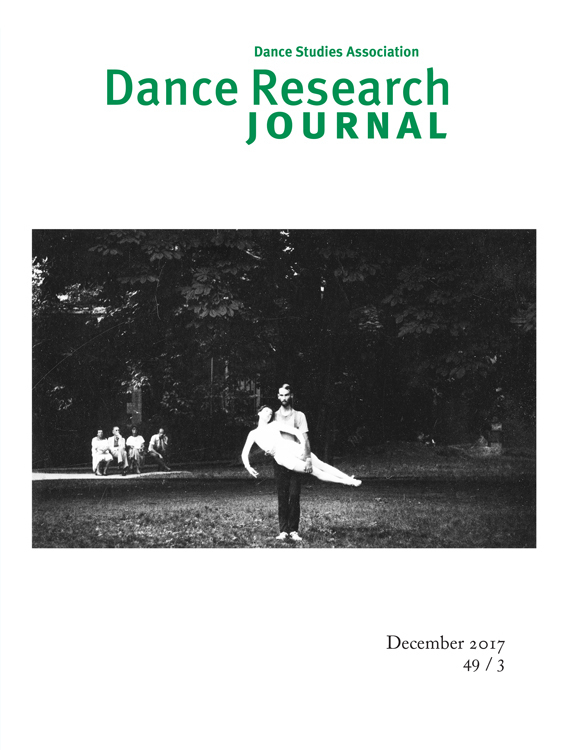 DRJ is a peer-reviewed premiere publication for dance scholarship of international reach and includes articles, book reviews, and lists of books received. 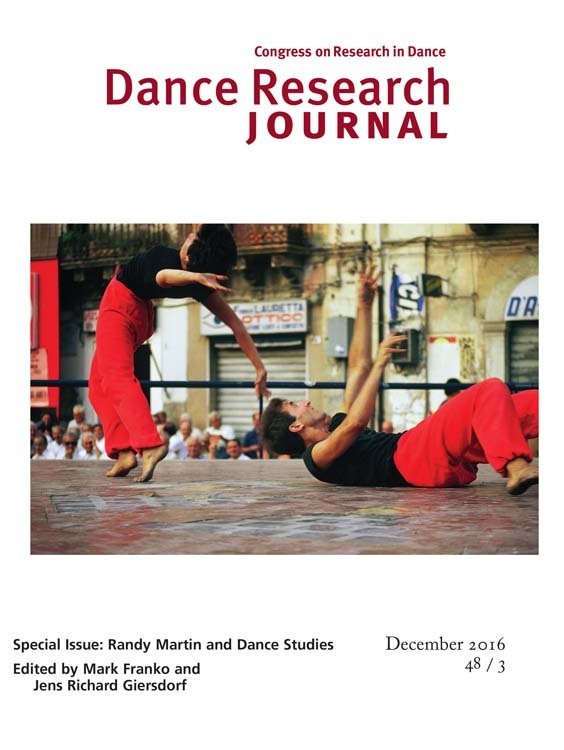 Published articles address dance history, theory, politics, ethnography, and intersections with cultural, gender, critical race, and diasporic studies among others. 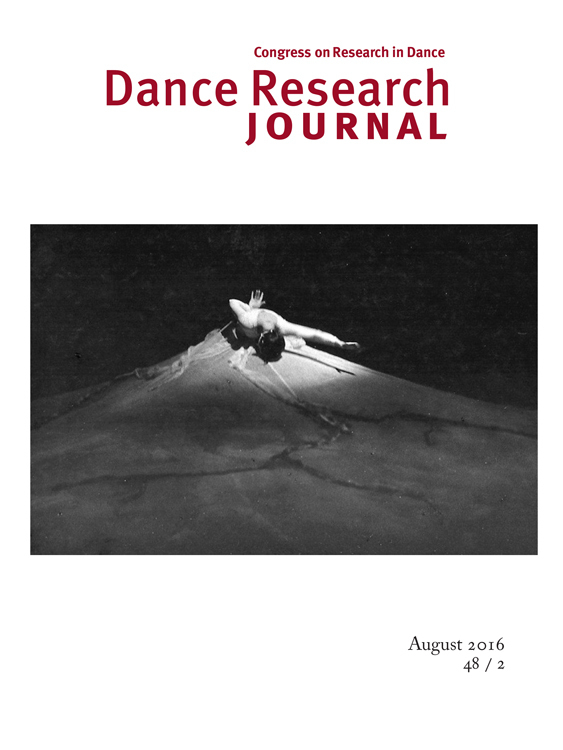 DRJ is committed to cross-disciplinary research with a dance perspective. Contributions for publication consideration are open to both members and nonmembers of DSA, and will be accepted any time. 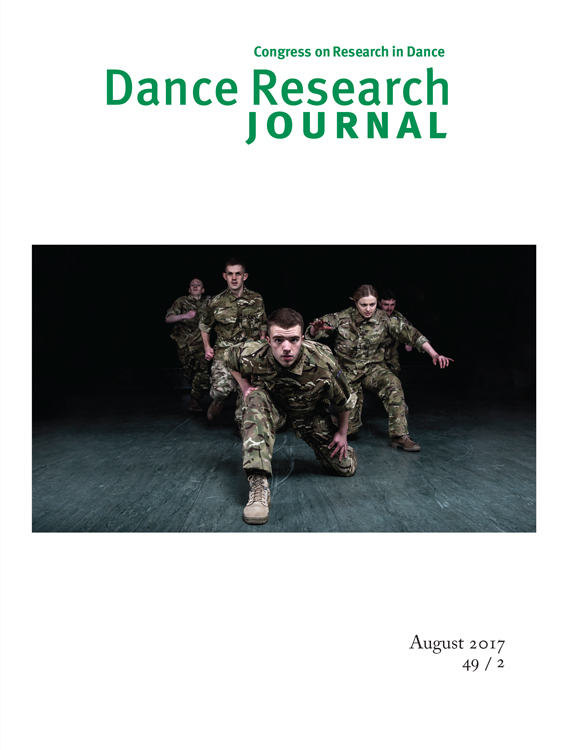 Dance Research Journal access is free for DSA members, who may access issues online by signing into the website and navigating to their dashboard or clicking "member access" at left when logged in. 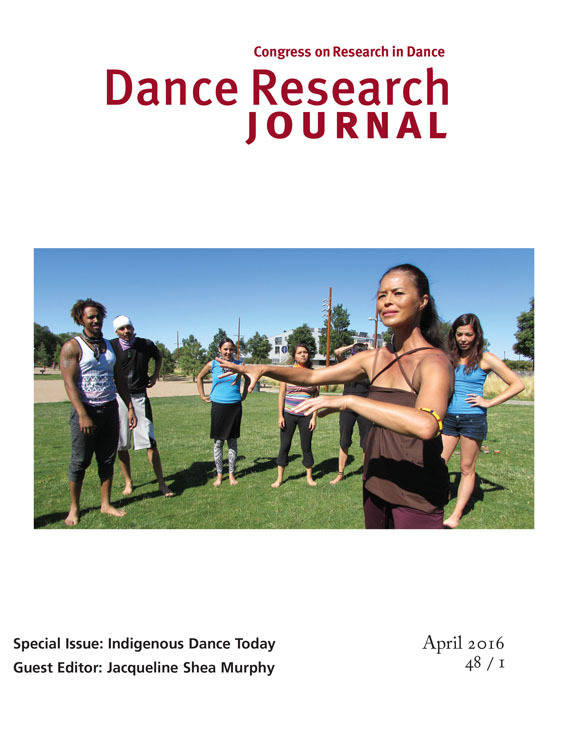 For article submissions contact Helen Thomas. For book review submission questions, contact Ariel Osterweis. Send books to Ariel Osterweis at California Institute of the Arts, Sharon Disney Lund School of Dance, 24700 McBean Pkwy., Valencia, CA 91355. View our complete Guidelines for Submissions.